A 17-month-old died in Goochland County where his father left him in a car seat in a hot car. 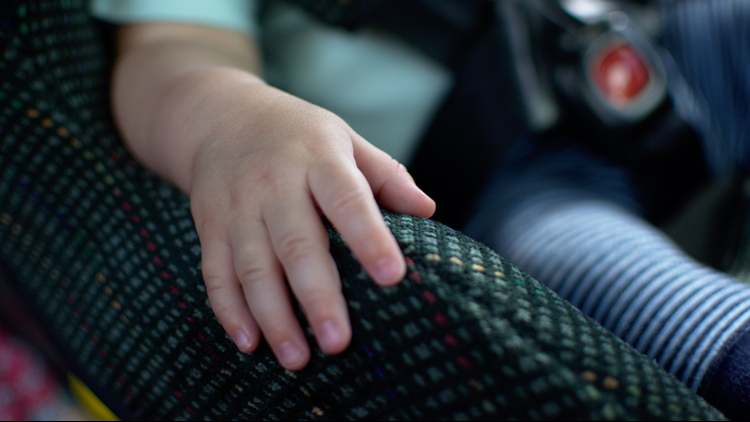 GOOCHLAND CO., Va. (WVEC) — Sheriff's deputies said a 17-month-old boy died in Goochland County Wednesday after his father left him in a car seat in a hot SUV. The SUV was on the uncovered deck of a parking garage near the Capitol One campus in West Creek Business Park. Riann Gondesi's mother called 911 just after 12:30 p.m. She said his daycare center contacted her 10 minutes earlier asking her if her son was going to be dropped off. The mother reached out to the boy's father who had left that morning with Gondesi. The father, who arrived at work at Capitol One at 9:30 a.m., apparently forgot to drop his son off at daycare and left him in the SUV. Emergency workers go to the campus where they found Gondesi unconscious. They tried to revive him before medics took him to Henrico Doctor's Hospital where he died at 1:21 p.m. Currently, no charges are pending. Here in Hampton Roads, the heat index ran anywhere from 105° to 110° throughout Wednesday afternoon.